Boil the water with the lentil stew, cover and cook over a low heat for approx. 30 mins., drain the remaining liquid, season with salt. To make the dressing, mix the mustard with all the other ingredients up to and including the chilli, season. Mix the diced avocado and mango with the warm lentils and 3/4 of the dressing, leave to infuse for approx. 15 mins. 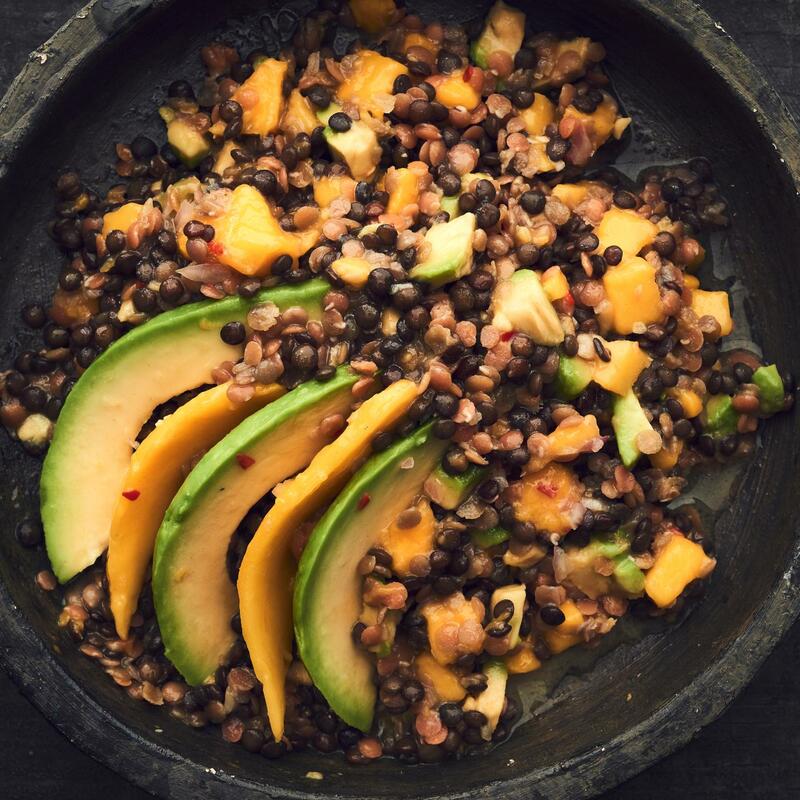 Spoon the lentil salad onto plates, fan the avocado and mango slices on top, drizzle over the remaining dressing. Bacon and mushroom fougasse or pagnol bread.